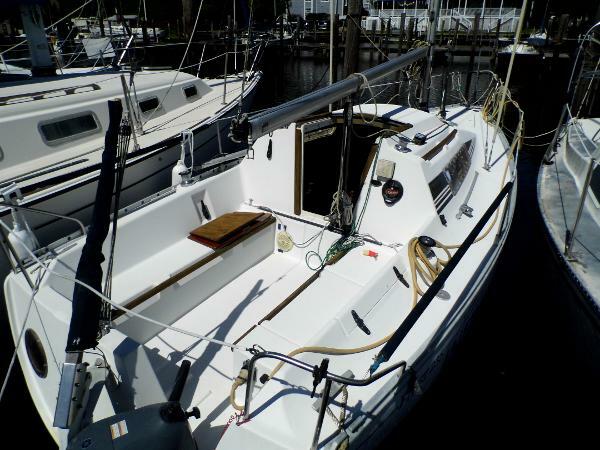 1979 Morgan 382 _____ HUGH PRICE REDUCTION______ This Morgan 38,"Dixie/Rebel"is ready to cruise.She has a good cruising inventory, A/C-Heat,autopolite,GPS,Rollerfurling,sail inventory.The Morgan is a heavily hand laid-up hull,she sports a 42hp Perkins 4-108 diesel engine. The tall rig,50'6",provides enough sail area for those speedy crossings cruisers need to be safe.The 5'draft provides that stability needed for that much sail area. 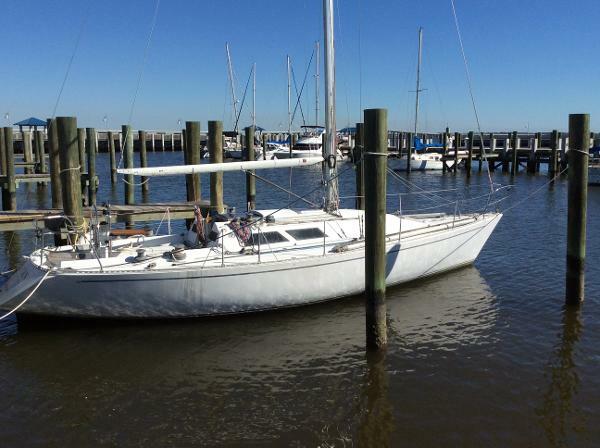 1982 Hinterhoeller Frers The popular Hinterholler Frers (F3) is an excellent cruiser/racer, for the buyer wanting to get into a 36 sailboat. 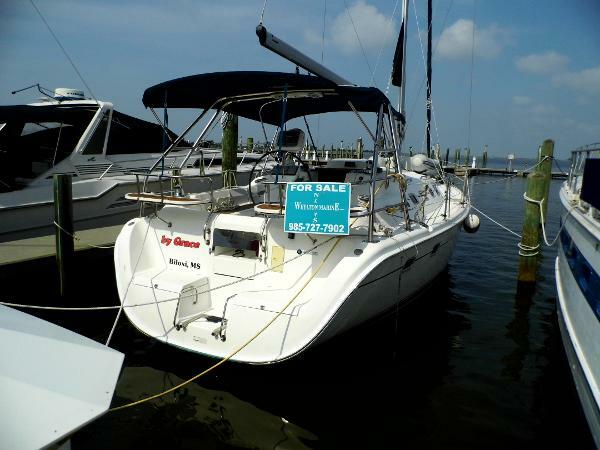 This boat is priced right, for enjoying this sailing season. When time permits, you can make minor repairs & upgrades to suite your specific needs. Pelican has an extensive suite of sails (list of sails available) for both cruising and racing, so there is no need to budget for new sails anytime soon. Other features include hydraulic back stay adjustment and hydraulic outhaul and boom vang, with all stainless-steel rod rigging. In 2015 the bottom was done and a new two blade prop put on, with a new cutlass bearing, motor mounts and AC thermostat. Don't miss out on this unique, well founded cruiser/racer at an entry level price. 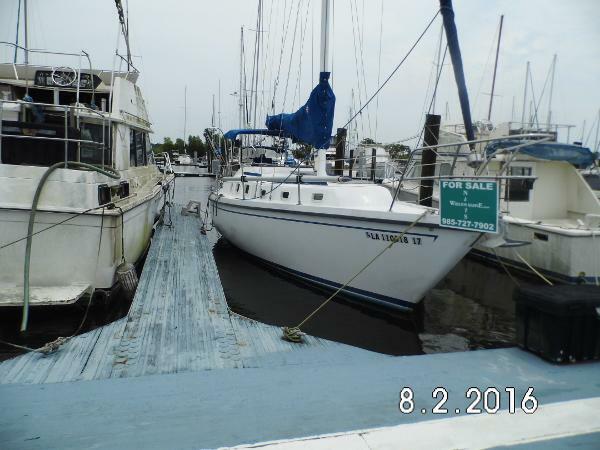 1984 Allmand 35 Tri Cabin Few 35 footers can come close to the usable space in this "Lady." This design came about during the late fuel shortage, by a power boat builder. There foray into the sailboat market was short-lived, but they made a good product. Former and current owners all seem to be happy with these vessels, as to construction and finish . They are not racers by any stretch of the imagination, but they are comfortable in an offshore situation. 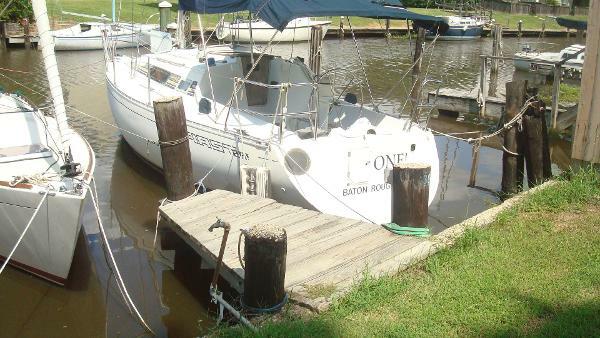 This boat has been well cared for and lovingly used by her current owner. She also has a fresh bottom job and new zincs. 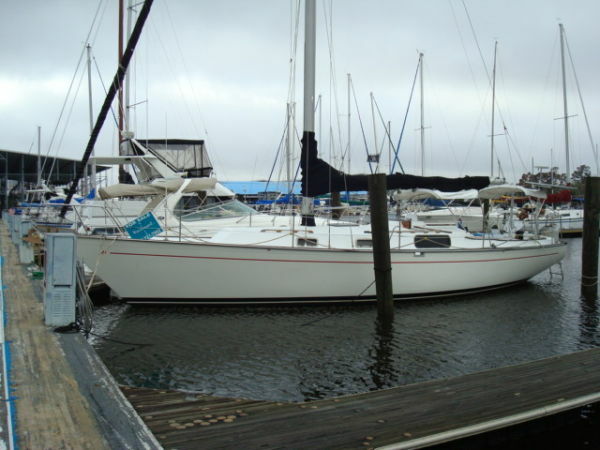 1989 Beneteau 285 What a fun boat for club racing; Yet she has accommodations for four adults, for a comfortable cruise, without producing terminal "cabin fever." One could not ask for a better club racer/cruiser; she is comfortable and fast. The accommodations are such that, the entire family will enjoy a weekend cruise. 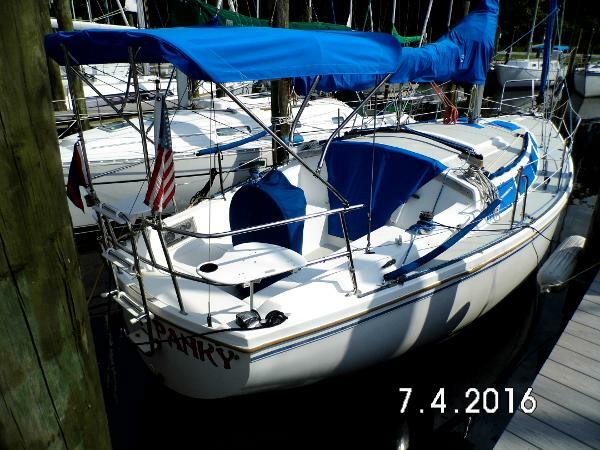 A well equipped weekender looking for a new "Skipper"!